1. Kac or Kak- My brother couldn't pronounce Kathleen growing up so he called me Kac. My parents, some family members and my Florida family all call me this. 2. Kat - This is the most obvious as my name is Kathleen. Plus I like cats. 3. Weenie - Ok only Jenny calls me this....it comes from when were in the 8th grade and she used to say "Kathleenie Beanie has a big fat Weenie." Not my favorite saying in the 8th grade but ever since she's called me Weenie. To this day. In fact she said it this morning as she was leaving for work. First picture in plaid! Oh, how I miss those days! In that order! :) God Bless Texas! 4. Walt Disney's Apartment on Main Street USA in Disneyland. 4. 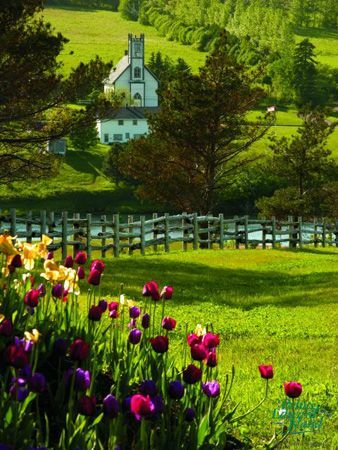 Prince Edward Island, Canada - Because it's the setting of one of my favorite books! Anne of Green Gables. Four things I don't eat: There's not much I don't eat. 1. Peas. I can eat the in stir fry or fried rice, but not cold or hot by themselves. Blegh. 2. Celery - I can only eat it cooked, not raw. Four TV Show I watch: I can only list 4? Yikes. 1. Grey's Anatomy. I don't care what anyone says, still one of the best shows ever. 2. Living in the same house for 2 years in a row. I've literally moved every year since 2006. It's annoying. 3. First summer time not working or moving. I can actually enjoy my summer! 4. The weddings of two of my best friends! That was fun....and surprisingly hard in some cases. But I'm a sucker for posts like this! Love these posts, it’s so fun to learn a few little facts – I’ve got one coming up later this week! So fun that you worked at Disney! You’ve had some fun travels and a great bucket list!